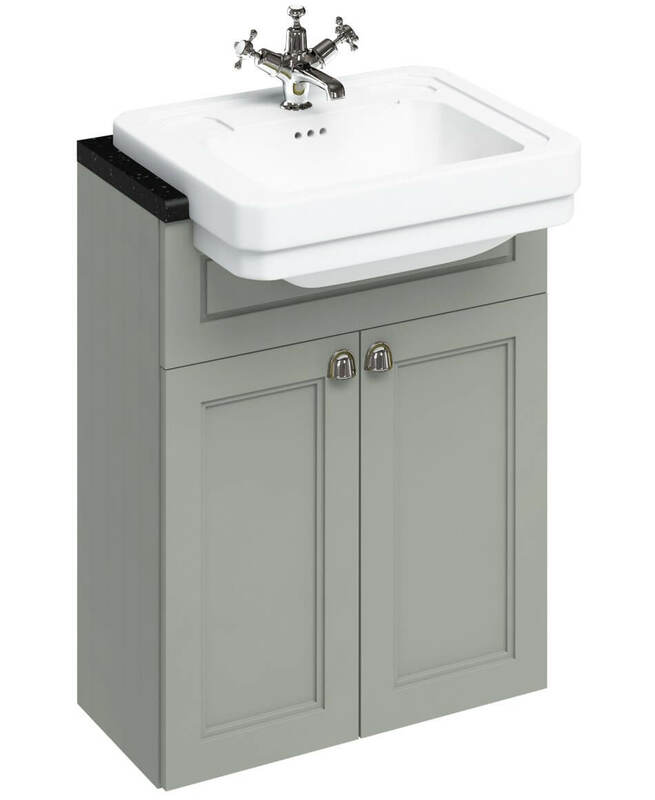 The Burlington Double Door Unit with Semi Recessed Basin offers a great storage solution in combination with an attractive washbasin. Although traditional in design, it takes a modern approach to achieve a neat, streamlined look. Twin doors of the vanity open to reveal ample shelving space, handy for keeping all those essential toiletries neatly tucked away, but close to the wash space where they are needed. The doors are equipped with a mechanism to close softly without the annoying slamming sounds. 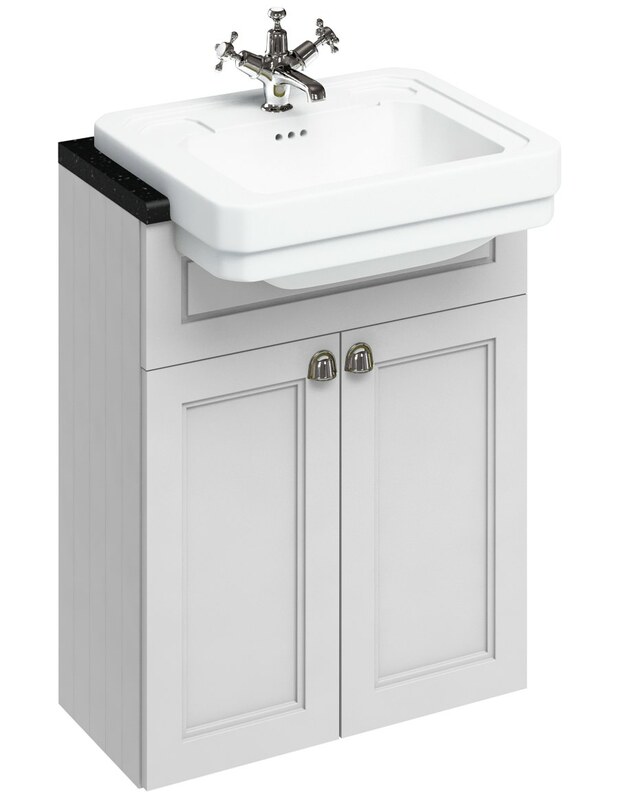 The surface-top basin made of good quality vitreous china is durable and long-lasting. 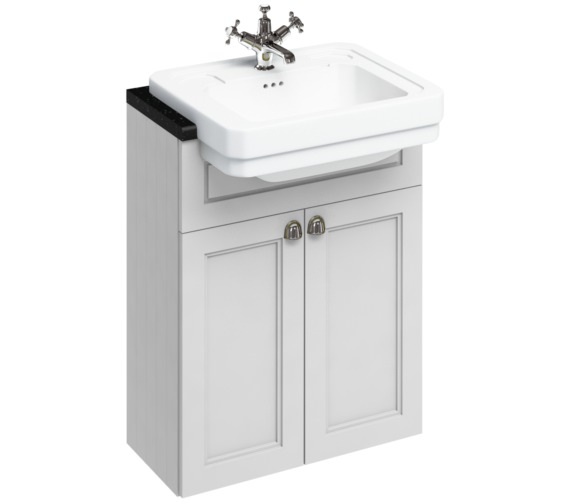 The basin features vintage stepped design and looks fabulous in a pristine white finish. Minerva are solid surface Vanity Tops with 25mm thickness and offer great flexibility of design. These excellent worktops come in 4 standard colours and do not need any special cleaning products. Simply wipe away with damp cloth. The surface is resistant to most household chemicals including alcohol and cosmetics, however, some chemicals and strong dyes can cause damage and discoloration. If spillage occurs, wipe off immediately and rinse the area thoroughly. Choose from three exclusive Minerva® worktop colours available in either White, Black Granite, or Carrara White. Supplied in 1200mm lengths. These are cut to size by the installer. This basin is too deep for the position we would use it in. Does the front of the unit come pre-cut for the burlington basin or could we use another semi-recessed basin with it. 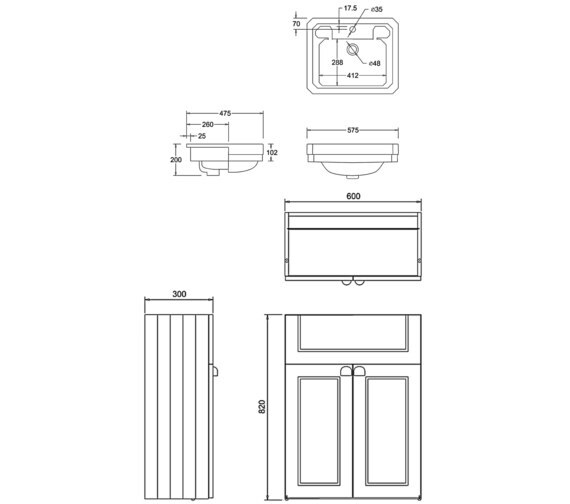 The F6BS semi recessed basin unit does not come pre-cut to take the semi recessed basin, however, a template for cutting the fascia is supplied with the product. 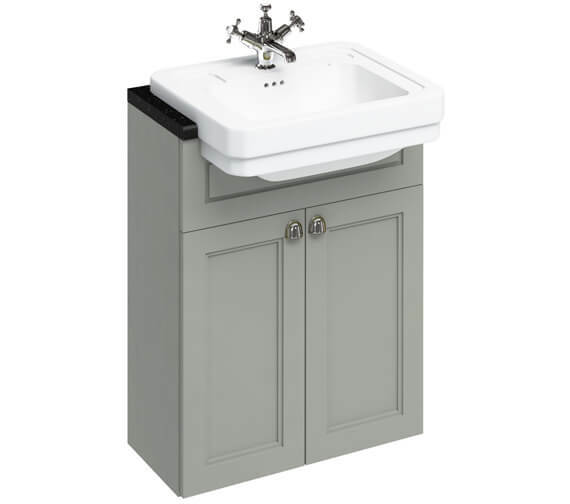 We need a vanity unit and basin with a shallow depth. 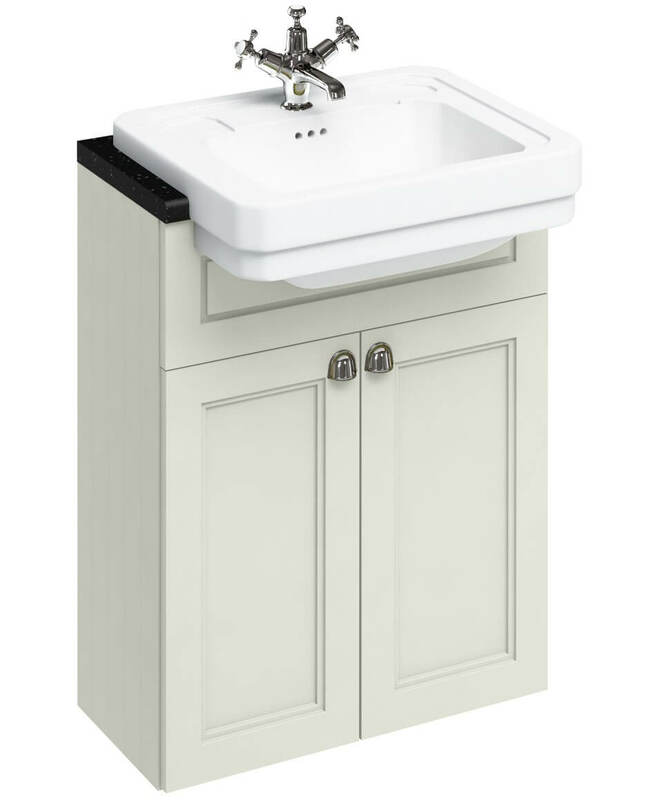 We really like the Burlington range and the unit will fit well in the space but the basin which comes with this unit will project too much. 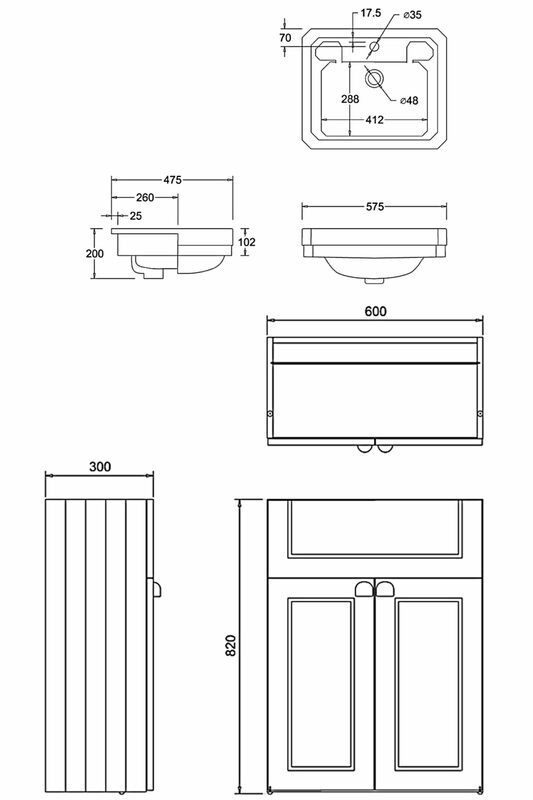 Please could you let me know if the unit comes pre-cut for the basin and, if not, whether we could fit another semi-recessed which has less depth. Unfortunately, the top of the unit does not come with a worktop, the worktop is supplied separately. 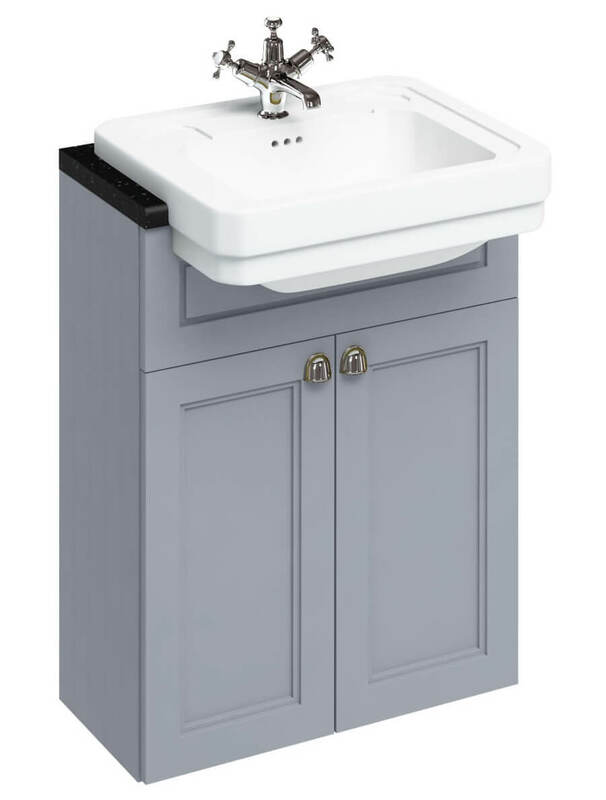 The B12 1TH is the only semi recessed basin that Burlington do in their range, you will need to locate another suitable semi-recessed basin if this one projects too far.